Dentist and ENT physician collaboration is the best way to deal with several patient issues. This article gives a great testimony as to why we need dentists and ENT physicians in our lives, allowing you to envision us without them. It also discusses one of those instances in which a team approach using dentistry and otolaryngology provide for the best patient outcome. Some of the most pervasive conditions faced by American people are poor sleep and snoring problems, with an estimated 90 million Americans suffering from them. As we all (or at least most of us) know, snoring and poor sleep promote several harmful long-term effects including (but not limited to) coronary heart disease, hypertension, stroke, and non-insulin-dependent diabetes, among others. 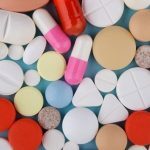 Ironically, though, despite the extent of the problem, it has received very little attention from medical professionals, researchers and even the general public, with historically available treatments being home remedies (such as sewing a ball into the back of a nightshirt) or tedious treatments such as CPAP or surgery. Thanks to recent advances in medical technology, however, it has now been known that chances of the condition getting treated can be considerably improved if an integrated team approach of medical professionals (physicians, dentists, nurses) can deliver coordinated care in a singular facility. One such collaboration is that of an otolaryngologist (ENT physician) and a dentist, who together with their skill, training, and expertise in the matter of airways, can successfully combat (or even eradicate) the problem of sleep disordered breathing. Snoring is basically a noise that is caused by the vibration of the soft tissues of the upper part of the airway. The dysfunction of any one of over ten different anatomical areas can cause snoring, from a troubled soft palate, blocked nasal passages, misaligned tongue and/or jaw, and enlarged adenoids and tonsils, among others. There are other factors too that can cause snoring, which include (but are not limited to) poor social habits and lifestyle practices, genetics and body composition, level of fitness, and stress, among others. Although snoring and sleep apnea are generally connected to each other, there are instances when that has not been the case. Nonetheless, snoring is a very troublesome condition that affects not only the sufferer, but also their partner (if they have any). In fact, it has been found that over one-fourth of the couples in the US sleep in separate bedrooms due snoring noises, with some partners having reported that the sound of snores were as loud as a commercial airplane engine! As already mentioned, sleep apnea has several serious medical implications, which include (but are lot limited to) stroke, diabetes, and heart diseases. Moreover, a lesser amount of sleep would mean lower daily quality of life and lesser amount of oxygen being supplied to the organs. The general treatment for treating Obstructive Sleep Apnea (OSA) is CPAP (continuous positive airway pressure). This entails providing the patient air via a mask or a nasal cannula when they sleep. 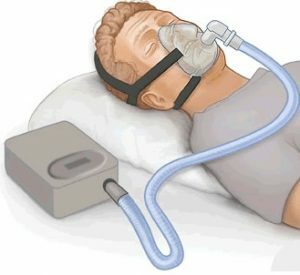 Although very effective, CPAP is a rather difficult and very uncomfortable method for patients. Thanks to recent advances in medical science, though, there are now several and non-invasive and minimally-invasive treatments that are safe, simple, and very effective. In order to be effective, however, these treatments should be treated by both ENT physicians as well as dentists. First and foremost, the patient is evaluated by a board-certified otolaryngologist who specializes in anatomy of the upper-airway. Digital imaging technology is used to identify the anatomical areas that cause snoring, which is then are identified and shown to the patient. Once this is done, a treatment plan is devised (chiefly by the dentist) and then explained to the patient in detail. Different problems have different treatments. For instance, a flaccid or long soft palate can be fixed with a Pillar procedure. Similarly, radiofrequency coblation is used to perform inferior turbinate reduction in patients whose breathing problems are caused by inferior nasal turbinates that are enlarged. Many times, however, the procedures are performed in by a collaborating team of otolaryngologists and dentists. For instance, when the cause of the problem is the tongue/jaw relationship, is contributing to the problem, the patient is then seen by a dentist who focuses solely on treating snoring and obstructive sleep apnea. Snoring (whether or not it is related to sleep apnea) can be treated by manipulating the airway, which in turn entails moving the mandible in an anterior manner in order to pull away the tongue from the pharyngeal wall. Once the hypopharynx’s size is measured and the TMJ is analyzed with the help of acoustic measurements, it is decided if an oral appliance is necessary. At this point, the dentist will recommend a custom appliance the patient that fits with his/her condition. That does not end the process, however. The device will need constant monitoring, maintenance and adjustment, and that is impossible without the dentist, and more importantly the otolaryngologist. The patient will have to return to deliver the device from time-to-time, wherein adjustments will be made. In order to achieve favorable, long-term results, there must be integrated team of specialists in place with the otolaryngologist and dentist at the helm of it. Both specialists must have great knowledge of the airway area and should be experienced in building removable oral appliances disorders. With proper, coordinated care given by a collaborative team of specialist doctors and dentistry professional in an environment that is comfortable, safe and familiar, the patient will get a great amount of relief (if not complete freedom) from their condition, which in turn will help them sleep better, feel better, and live lives that are happier and healthier. When a person talks about ‘visiting the doctor’s office’, there is a fair chance that the ‘doctor’ he/she is about to visit is the ENT Specialist. Alternatively known as otolaryngologists, these doctors specialize in treating the ear, nose, neck and throat, and constitute a very popular group of doctors within the United States. What does an ENT physician do? An ENT doctor is basically a medical physician who specializes in treating physical issues in four main categories; namely: the ears, the nose, the head/neck and the throat. He frequently collaborates with dentists and other dentistry specialists due to the physical proximity of his area of concentration to dental areas. – Ears: ENT doctors help treat issues related to the ear such as hearing problems, ear infections, tinnitus, balance, nerve pain, facial as well as cranial nerve disorders, among others, both medically as well as surgically. – Nose: ENTs treat issues related to the nasal section such as chronic sinusitis, breathing issues, allergies and sense of smell. 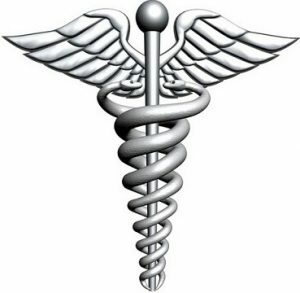 – Head/Neck: Many ENTs oversee (or at least help with) the treatment of serious infectious diseases, severe head and/or neck trauma, and other abnormalities such as deformities and tumors. This sometimes includes performing reconstructive plastic surgery. Besides the aforementioned, these doctors also do other things such as medical researching, teaching educational courses and publishing journal articles. As already mentioned, the first step towards being an ENT is earning a bachelor’s degree. While candidates can (and often do) take any undergraduate major, it is better for them to major in subjects that that medical schools generally require as prerequisites. This includes physics, chemistry, biology, as well as oral and written communication course study. Undergraduate students who want to gain extra points in the medical-school application pool can benefit from taking specific career-oriented steps such as joining pre-med organizations, taking part in community service, observing physicians and preparing for the MCAT in advance. 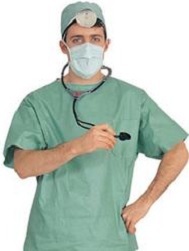 The candidate must apply to a suitable medical school before they graduate. Medical school continues for four years, the completion of which leads to an advanced-degree in medicine such as M.D. and D.O. After graduation and successful passing of the MCAT, candidates must complete their medical degree from a suitably accredited medical school, which takes four years. In these four years, the first year is spent in the classroom studying subjects such as histology, anatomy, pathology, psychology, dentistry, biochemistry, and ethics along with preparation for the Objective Structured Clinical Examinations. Studies get more clinically focused in the second year, though they still remain largely in-classroom. In the third and the fourth years, medical students get assigned to clinical rotations from where they get exposure to a large variety of potential specializations. 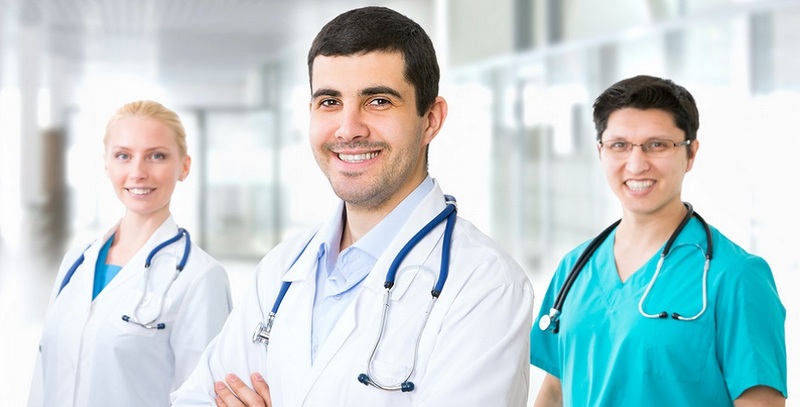 Medical school graduates who intend to be board-certified ENT physicians should, in addition to their education, complete a residency of five years duration. This is where they get training as well as hands-on experience in specific areas of the nose, ears, and throat, oncology, research, dentistry, anesthesiology, pediatric, surgery, clinical evaluation and management/leadership. Given that the requirements for getting licensed varies from one state to another, doctors should the pass the state examination in every state in which they want to practice. Most doctors prefer to complete their residency from the state in which they intend to practice, because otherwise they will have to learn a separate set of regulations prior to taking the test. While ABOto technically offers exams as well as certification in only two sub specialties, namely, Sleep Medicine and Neurology, a percentage of ENT doctors spend 1-2 years training in additional subjects to specialize in areas like allergy, pediatrics, balance, reconstructive and plastic surgery, neck and head tumors, dentistry, swallowing and voice problems and rhinology. Gap Medics has revealed that ENT doctors are found in clinics and hospitals, and even in private practice. It also revealed that those who practice privately generally spend a very little time performing surgeries. Needless to say, there is a wide scope of opportunity for an ENTs. Those who wish to work with children may go on to become Pediatric Otolaryngologists. Alternatively, they can also specialize in other areas such as allergies, or as reconstructive and plastic surgery, among others. According to salary.com, the average annual salary in the US is $336,844. ENTs have a special place in American culture. As a matter of fact, ENT Associates has revealed that over 50% of all visits to the doctor are related to ENT issues. Furthermore, changes in coverage of medical expenses, such as the introduction of the Affordable Care Act has led to a large number of people being covered by insurance, who previously could not afford to see ENT doctors. Given the fact that overall demand for physicians is set to grow up to 18% by 2022, there will be a greater need for doctors in general and ENT physicians in particular. A sinus infection can be bothersome enough. Your head feels like it’s about to explode, you feel like there’s a fever coming on and nothing seems right. When a bout of dizziness comes along for the ride, it is only fair that you would feel a little worried and feel the need to call your ear, nose and throat (ENT) doctor. Why do a sinus infection and dizziness go together? In certain circumstances, unhappily, they certainly do. Our sinuses are internally connected to a passage that leads to our ear canals. Infections of our sinuses can easily set up camp in our ear canals. And as everyone knows, our sense of physical balance comes from the way our inner ears are designed. An infection of the ears can easily send our balance sensing inner ear parts out of whack. It’s not just a when a sinus-related ear infection affects our balance sensing mechanism that we experience dizziness either. It can happen even when the infection goes nowhere near the inner ear. But you don’t have to let it go as far as all that. When you come down with a sinus infection, going down to the ENT doctor for a prescription to get rid of it should help you keep far enough away from any dizzy spells. What you need to do then is to catch a sinus infection right when it’s starting. The moment you sense a little pressure around the middle of your face, a little mucus and a heaviness that seems to radiate from around your cheeks, you know that you’re coming down with a sinus infection. Take steps to deal with a sinus infection and the dizziness should never have to be what comes out of it. What are the sinuses exactly? Around the front of your face, in the bony matrix of your skull, bordering your nose, are this series of little cavities – strung out like an archipelago of islands. These are supposed to just be filled with air – to act as resonating chambers to help your voice project. When you get an infection, mucus fills these chambers up. And of course when it does that, your face feels swollen and painful. But how exactly are a sinus infection and dizziness related? One reason it can come about is that a sinus infection can get people to have headaches and feel exhausted. It is not uncommon for exhaustion to lead to a little unsteadiness. When an infection progresses, it branches out into the eustachian tubes that connect the nasal passage to the ear canals. Those tubes are needed for the ears to be able to drain excess fluid away. Tubes that are blocked by a spreading sinusitis infection will no longer be able to drain fluid out. With mucus and fluid building up in the tubes, you can only imagine how it would upset the vestibular system in the inner ear and succeed in throwing your sense of balance off. Anything that leads to an infection around the ear canals can lead to dizziness. Since a sinus infection is one of them, dizziness is sometimes seen to accompany it. It’s pretty simple to get rid of a sinus infection and dizziness, luckily. All you need are a few ENT physician prescribed antibiotics, plenty of fluids, and rest. Sometimes, a little allergy treatment could help prevent the problem before it even comes up. If you should ever come down with a sinus infection that gives you a bout of dizziness, be sure to not do anything where you need to be alert – such as driving. Here’s one way to see how a cochlear implant is very important for a hearing-impaired baby at a very young age. Know how when you first get a new device for your computer – say a WebCam or a new graphics card or something – when you first plug it in, Windows will say things like “Searching for drivers” or “Windows is installing your device”? What happens when the correct drivers are not there though? After trying for some time, Windows will just give up. You’ll have to do take a few elaborate steps to get it into a state where it’s receptive to finding and installing the device again. When your baby is born, his brain does something like this too. Your baby’s brain needs to hear a little sound and it needs to see a little light and so on, to set things up correctly. If this information is missing – say if there’s something wrong with your child’s ears at this point – the brain doesn’t perceive the information needed to set things up. After trying for some time, the hearing part of the brain turns off permanently. To prevent this from happening, you need to supply your baby’s brain with sound. That’s where your ENT doctor may talk to you about a cochlear implant. Ear, Nose and Throat physicians are particularly skilled to know that not every hearing-impaired child needs a cochlear implant. Your child will only need one, if an inner-ear part called the cochlea is damaged. Typically, you’ll talk to your ENT doctor and he will refer you to an audiologist. The audiologist will perform a few. painless tests, and he will determine if there is something wrong with your kid’s cochlea. For instance, the cochlea contains tiny little hair cells that are supposed to vibrate in the presence of sound. 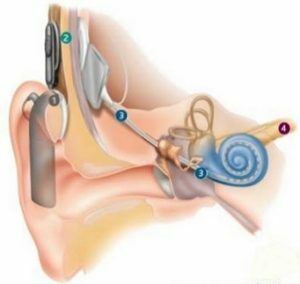 They use a device to make little sounds, and the response of the cochlea is picked up by a sensor. They call this Otoacoustic Emission screening. Another test called the Auditory Brainstem Response test tries to check the brain for electrical activity when there’s sound. If there is sound, and if the brain is receiving it, then the brain has to do something about it. They’ll pick it up in this scan. Not every kid who has profound hearing loss is given a cochlear implant though. If hearing aids are able to do something, your ENT doctor usually thinks that these are better. But even after a cochlear implant is placed in your child’s year after surgery, it isn’t as simple as turning it on and going home. There are all kinds of therapy sessions that you and your child will have to attend. The ENT doctors and audiologists will see if you’re motivated enough to do this. But if all goes well, your child will receive a cochlear implant and it will really work well. Your child will learn language at the right time, and everything will go as planned.